The famous Captain Morgan is back at it again. Just in time for summer there is a new limited edition rum from the Captain Morgan line. It is the Sherry Oak Finish Spiced Rum. For those who are fans of this line let me say that you will not be let down. I tried this limited edition many different ways. I first sipped it on the rocks. As I poured it into my glass there were a bevy of sweet smells that was released out from the bottle. I was able to pick up hints of vanilla, cherry, raisin, toffee and a bit of molasses. Of course the smell of oak was present as well. Just like the aroma the taste gave off the same vibe. Tastes of oak, vanilla, and cherry were all there in each sip. I also was able to pick up the taste of cocoa and caramel. It was very smooth to drink and it doesn’t need any mixing, but with that being said I still like to make a few concoctions when drinking rum. I did the traditional Captain and Coke recipe with this version of rum. It was a bit sweeter to me than the original mixture, but still went down really well. Another recipe that I tested out was the cocktail called Captain’s Invasion. This will be a great summer beverage. It was refreshing and it will be one of my go to drinks while the rum is still available. If you want to make this cocktail check out the directions below. There is a very cool story behind the Sherry Oak Finish Spiced Rum. Legend has his that in 1671 Captain Henry Morgan and his crew were involved in a battle in the shores of Panama in 1671. Last year there was a discovery of a few remains of that fleet from the 17th century. There were treasures found in a hull from one of those ships. One of the artifacts collected was a barrel. Inside that barrel is believed to be Captain Morgan’s brand housed sherry. This discovery led to the creation of the limited edition blend. This rum will be available for a short while and you can pick up a 750ml bottle for $19.99. You can’t miss the bottle. 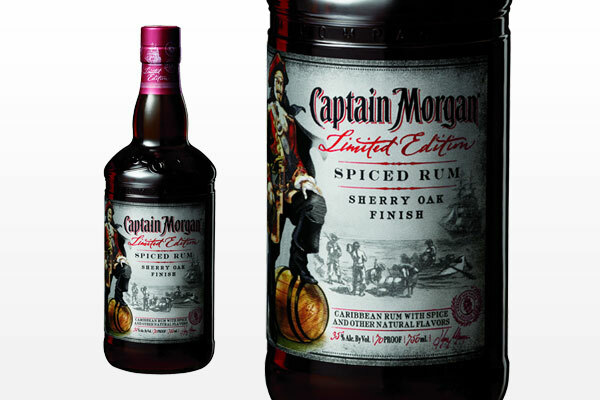 It has a metallic label that commemorates the legend of Captain Morgan’s battle of 1671. Directions: Add all ingredients to an ice filled rocks glass. Stir to blend and garnish with a lime wedge. Print article This entry was posted by Art Eddy III on July 4, 2013 at 7:21 pm, and is filed under Lifestyle. Follow any responses to this post through RSS 2.0. Both comments and pings are currently closed.